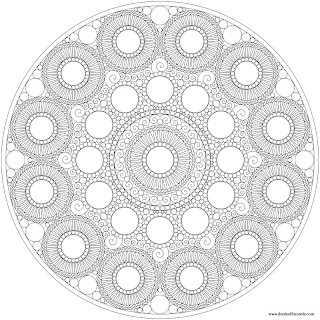 The image above is the small jpg version of the mandala. Why isn't there a colored version? Because I've spent hours drawing it and just don't want to spend another few hours coloring it right now! The Etruscan civilization was in Italy, from about 800 BC until it was assimilated by Rome in 1 AD. A few years ago, I had the pleasure of seeing some gold Etruscan jewelry as part of a traveling exhibit about gold. What makes the jewelry absolutely remarkable for the era is the sheer amount of detail that goes in to it. While the techniques themselves are fairly basic, the fine detail and encrusted look of the gold jewelry is astounding. They would use wires and granulated balls of gold on sheet metal, soldering each piece in place. Like a lot of other cultures and art, there were a lot of floral motifs, as well as radially symmetrical geometric designs. Like mandalas. I've worked in silver, and a little bit in gold. Using modern tools, and modern techniques, I wouldn't have the patience for the kind of very full, very textured look of Etruscan jewelry. Pretty much, I just know enough to really appreciate those long gone artists. 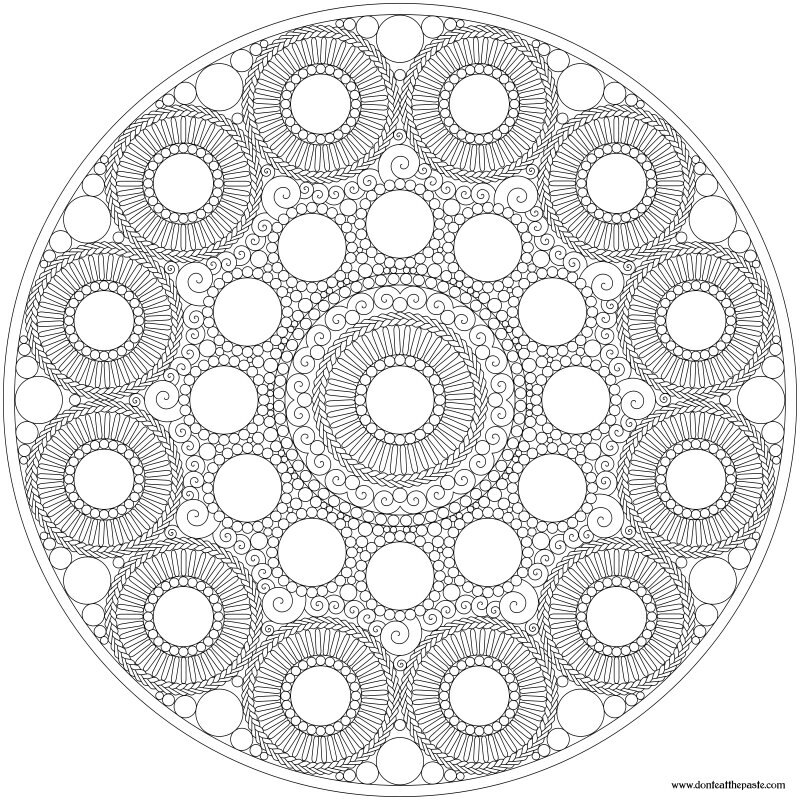 Click on the image above, and the one below for larger versions to print. Thanks, Shala, for this intricate design! Looks like it will be fun to color!